Bort SellaDur Thumb Arthritis Treatment Splint - Freeman Mfg Co. This Bort SellaDur Arthritis/Sprain Thumb Splint comes with a soft elastic sleeve to wear under the Splint for a comfortable fit. It is used for immobilizing and protecting the metacarpophalangeal joint, as needed for following damage to the ulnar collateral ligament of the thumb or for thumb arthritis treatment. The sleeve is washable and fast drying. Additional sleeves are available for purchase. 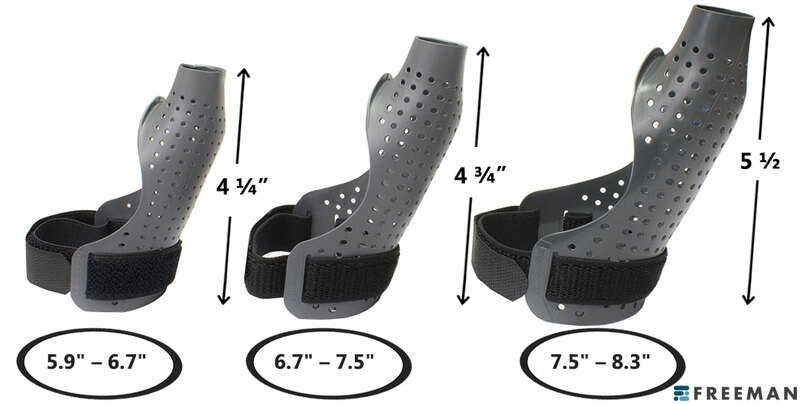 This extremely durable thumb splint is voted as BEST THUMB SPLINT FOR ARTHRITIS! I have a painfully arthritic thumb and this brace provides amazing relief for me. I highly recommend this product if you need support for a thumb. This thumb splint has helped my aching joints. I was surprised how fast shipping was. I wear mine with and without the glove, my hands don't sweat in them but sometimes my hands do get warm. I tried this splint for my CMC & MCP Left thumb arthritis. I am using this to prolong having surgery on the joints. My only 'complaint' is that the pull on liner that is sold with it is not very good in that it frays at the edges. I did buy other liners/gloves to replace these. The way he brace is constructed allows full use of your hand because the palm remains free. Has a liner that can be worn or not, with the liner off it is safe to get it wet. Still can get wet with the liner but hand will be damp. The liner helps with moisture, debris and added comfort from the brace. Can be regularly washed and maintained to stay clean. With the straps it makes it easy to adjust throughout the day. It holds very well while still allowing for a little thumb movement. The splint reduces movement of the MCP joint nicely. My grip is not as strong with the splint as without the splint due to the brace. Click the button below to add the Bort SellaDur Thumb Arthritis Treatment Splint to your wish list.